Erte was perhaps best known for his fabulous costume designs. A career change came in 1965 when the eccentric artist was 73. It was during this time Erte met Eric and Salome Estorick - founders of Seven Arts Ltd. They persuaded Erte to liberate thousands of drawings from trunks in his cellar. The result was a resurgence of Art Deco in the late 60s, 70s and 80s - in addition Erte enjoyed popularity in the United States. 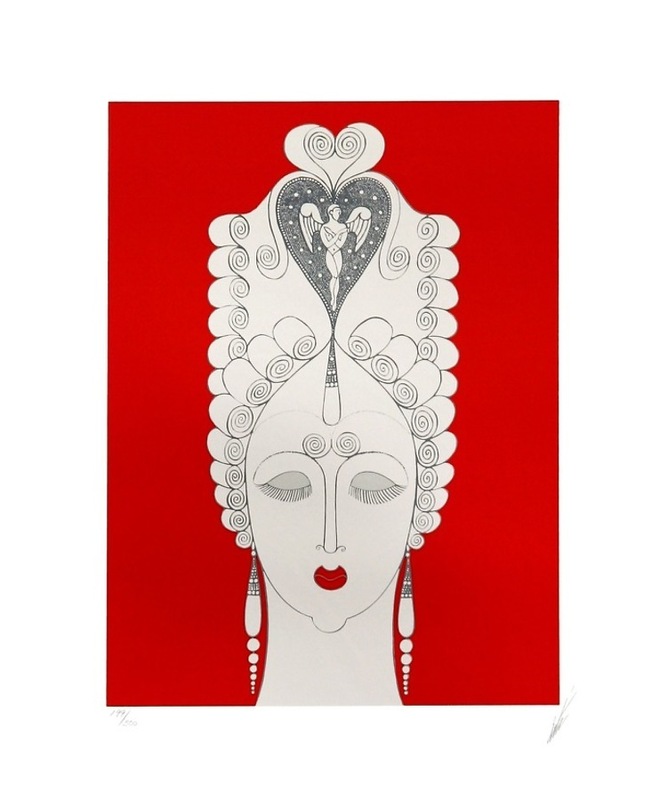 Erte began producing lithographs and serigraphs. With graphic art, he concluded, “I could reach the very large public that these Exhibitions had created." Amoureuse is a part of Erte’s “Twenties Remembered” suite.